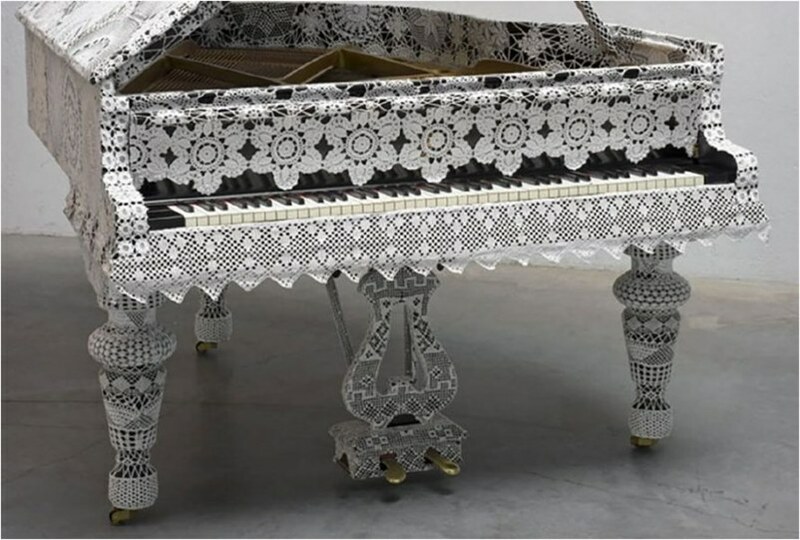 This technique in handicrafts that needs patience, high precision and creative ability at the same time, began to manufacture the covers and penetrated into the details of the house with a flow similar to the rhythm of her needle when she interferes with the threads to form attractive designs. 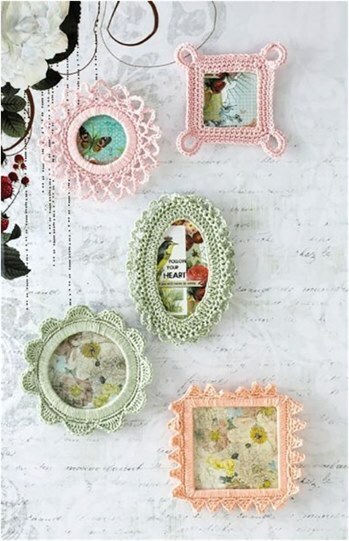 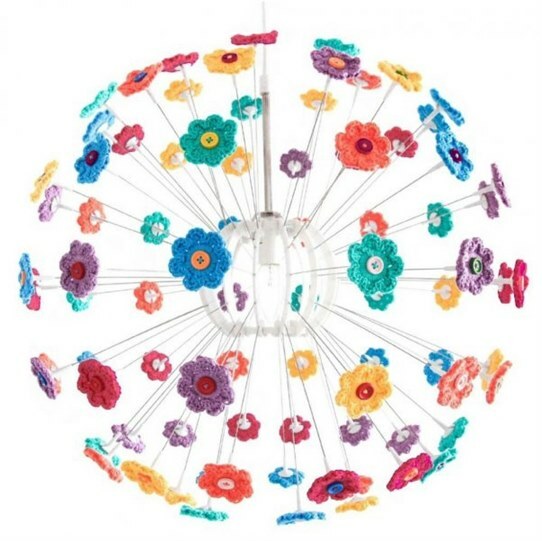 Crochet This ancient handmade skill, which was famous in the Italian island of Burano, remained conservative and the machine could not replace it, as did the art of embroidery. 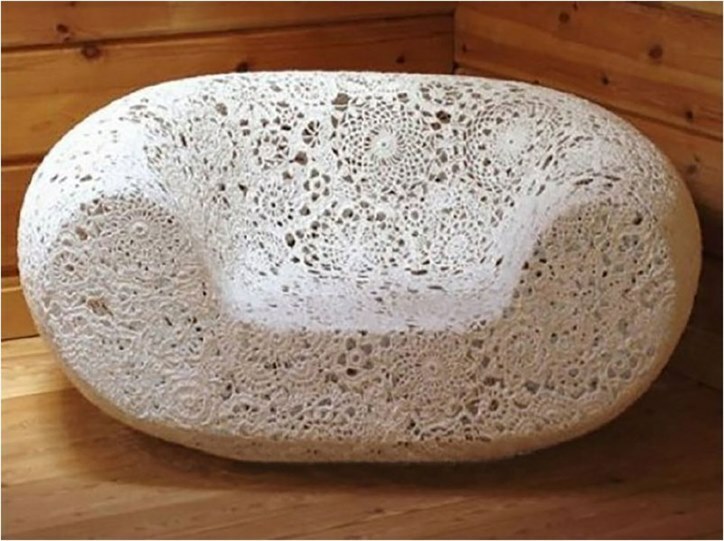 For example, it remained famous for its high price and even increased with time, with the number of women wearing this craft decreased. 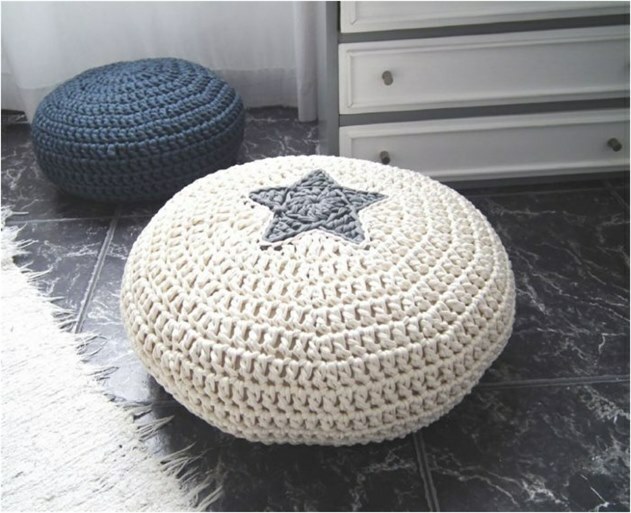 - The fashionable use of crochet covers on the tables is nice to use also on the bed to give the room a rustic atmosphere reminiscent of the European suburbs and the touch of luxury. 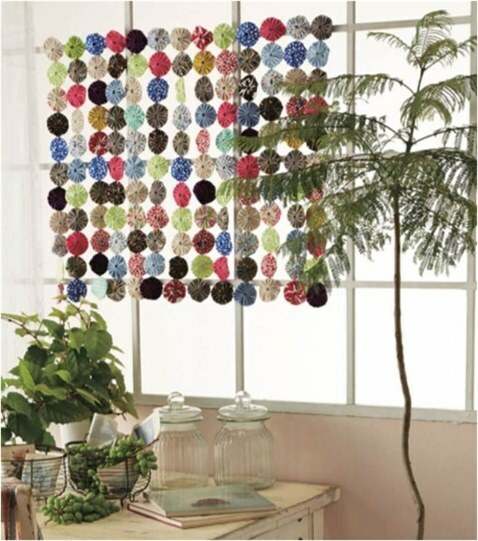 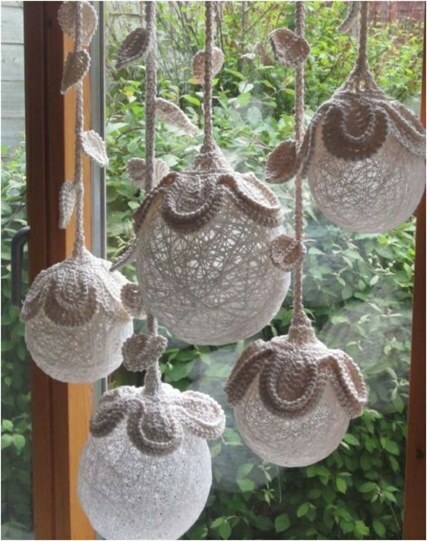 - Curtains filled with crochet technology, which partially cover the light where the light penetrates from the holes or those that enter the technology in some parts, which I think it is better because it maintains its function as curtains to prevent vision and remain crochet accessories used in the appropriate places. 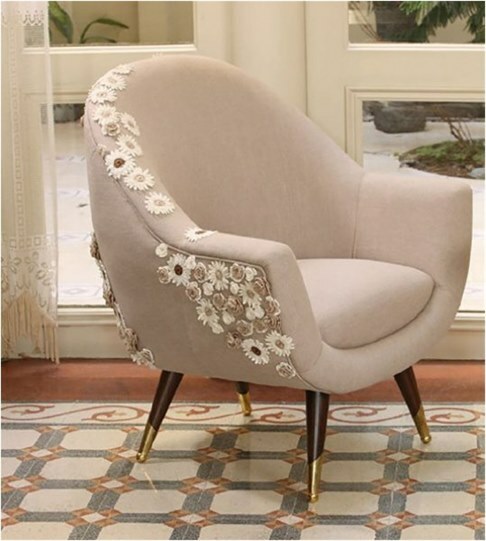 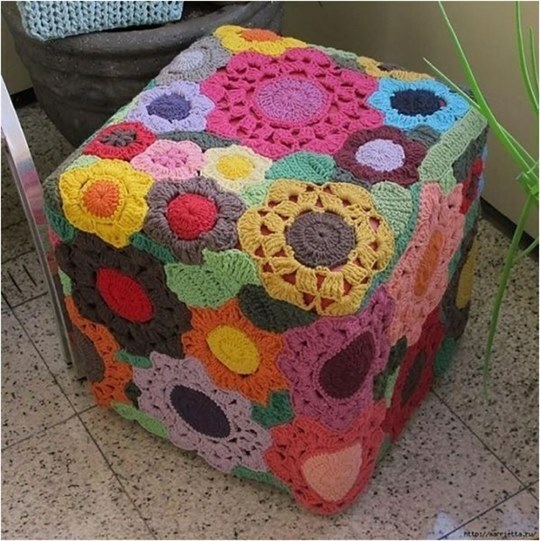 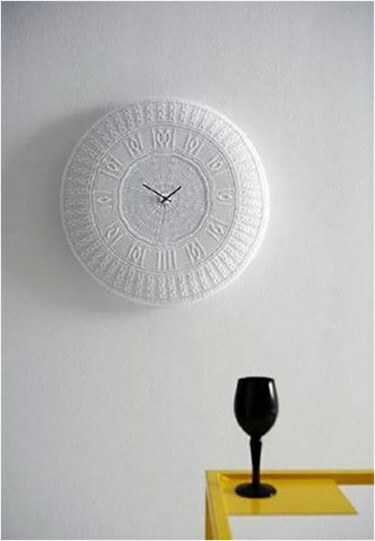 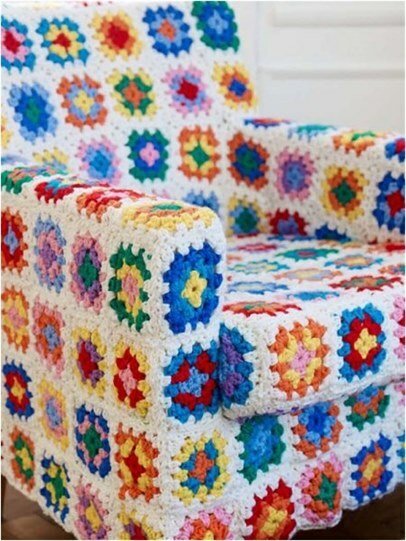 - Home furniture in which the art of crochet, such as chairs, chairs and tables. 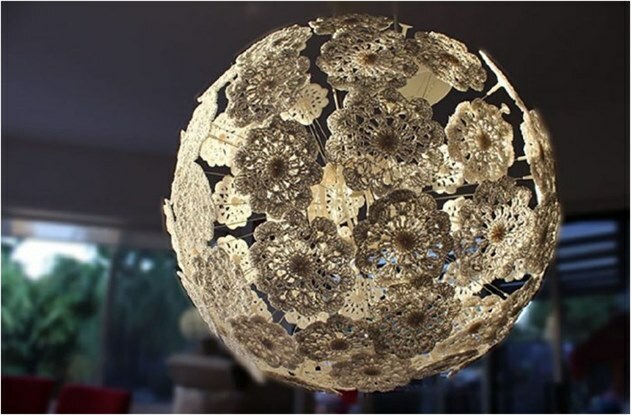 - Lighting devices that have become very familiar because this technique suits the function where it allows the light to pass through without preventing it and reduce the severity of the required degree. 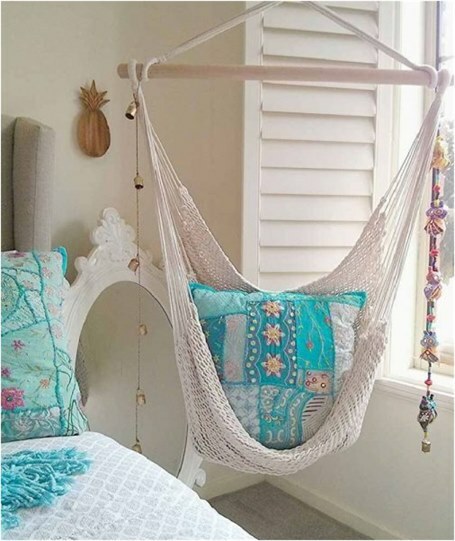 - Cutters between the rooms where the cutter is more formal than functional and aesthetic purpose and the addition of technical vacuum, then Crochet fit as a barrier separating the rooms. 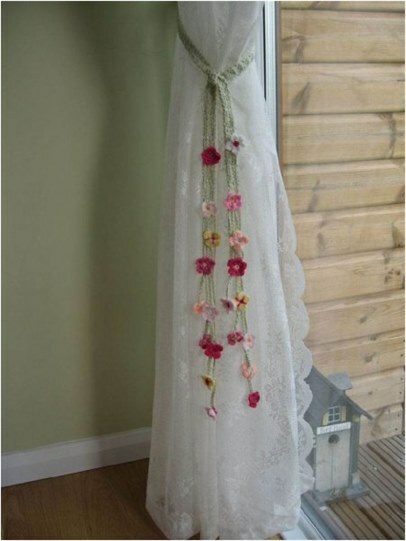 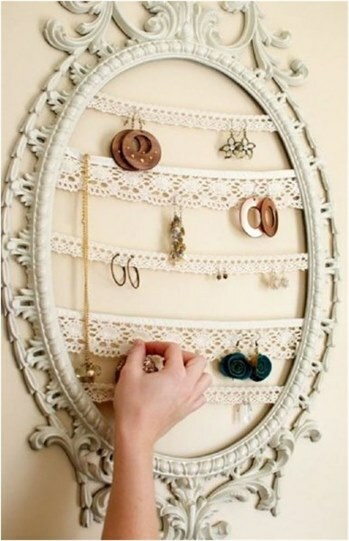 - Crochet door handles in various shapes, which vary to fit each room. 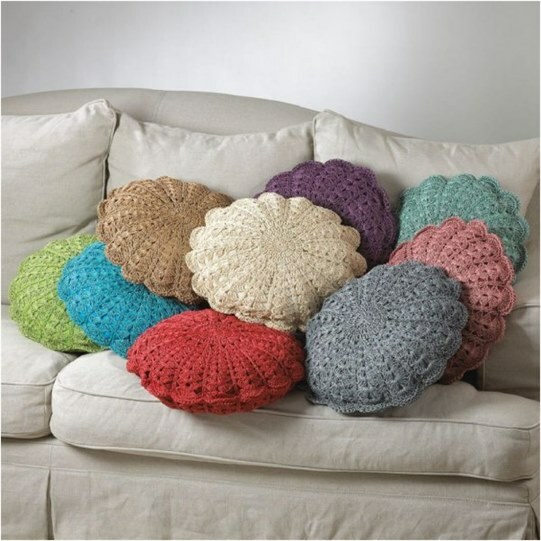 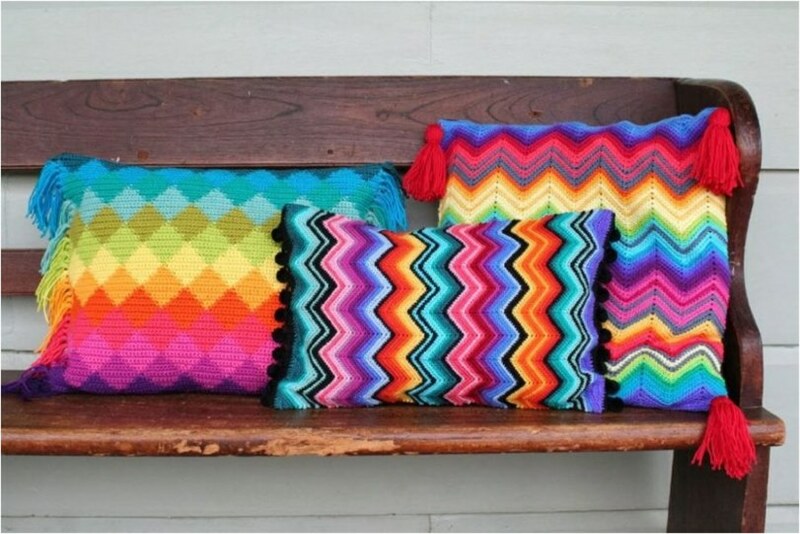 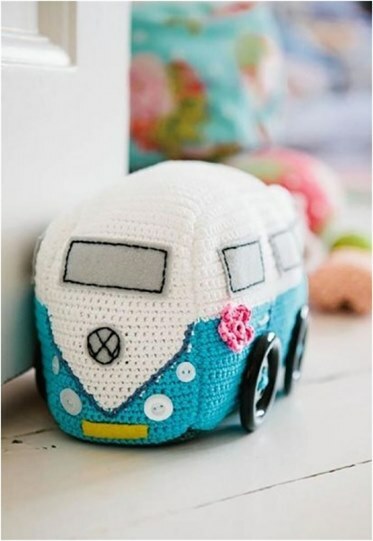 - The colorful crochet cushions that give the canopy a dynamic color that can be changed every season to make you feel like having a brand new sofa every time. 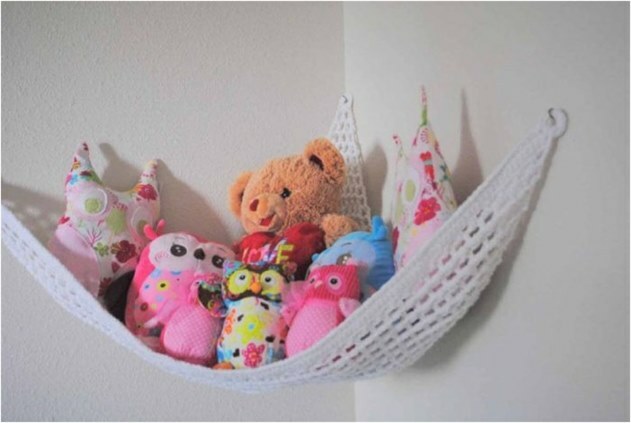 - Hanging hammocks that are usually placed in gardens can be added to the bedrooms and used as a suspended seat.